Control Solutions LLC designs and manufactures some of the world’s finest electronics for motion control. But, our real skills come in our ability to help you solve your biggest challenges. Through the years, we have partnered with some great companies to take the lead at integrating components together into a complete motion control solution. We help keep your world moving. Our in-house suite of engineering skills and procedures to design and develop robust systems with over 20 years of industry-leading experience in mechanical, electronic, software and test engineering. Our program management team is fully PMP-certified and can manage programs from short-run prototype jobs to full mass production scheduling and cost control. Control Solutions LLC is your one-stop systems integrator with our large-scale flexible manufacturing facility. It’s not just a slogan, it’s what we do! Control Solutions LLC is your one-stop integrator for tough motion control problems. 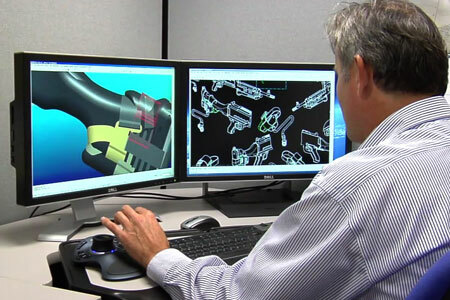 Our team of engineers and ISO-certified manufacturing facility stands ready to quickly solve, design, and manufacture your custom solution today.